The Eton Road Torq is a durable, self-powered dynamo hand cranked emergency light with built-in Li-ion battery. 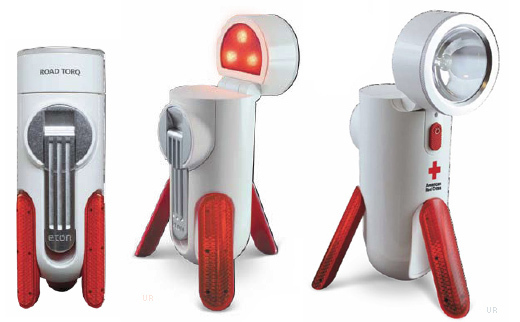 It folds for convenient storage in your car and features 3 red LEDS and a bright 1 watt LED spotlight. Crank for 2 minutes for 15 minutes of light. Also has 5V DC power input. If you ever have to change a tire at night, you will be glad to have your Road Torq. Even the legs are reflective! Copyright 2013-2018, Universal Radio, Inc.